Are you ready for an AMAZING card kit? 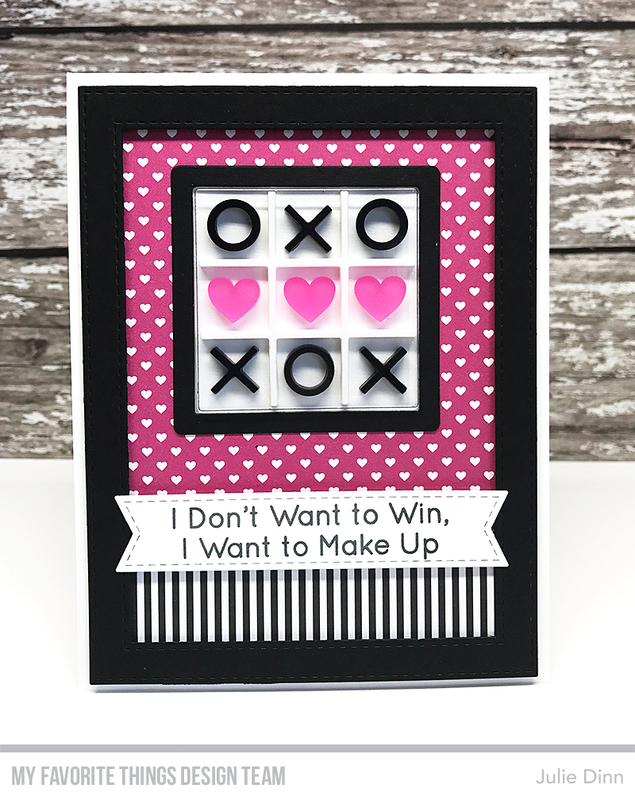 The X's and O's Card Kit is a must have. This kit will be available on Tuesday, August 22 at 9pm EST. My first card features the a number of the Replenishments included in the card kit, Square Shaker Pouches, Tic Tac Toe packs in White and Black, and the Mixed Heart Pieces. I had so much fun putting together the tic tac toe boards. If you know me at all. you will know that I am a bit of a control freak. I didn't like the thought that my x's, o's and hearts would be floating around in the shaker pouch, so I glued them down. I know this will make complete sense to some of you! For my second card I used the X's and O's Die-namics to create a few fun Tic Tac Toe boards. The boards were die-cut using the Square Shaker Window & Frame Die-namics. I backed Razzle Berry and Black Licorice card stock with adhesive sheets before I die-cut them. Having the adhesive on the back of the card stock made assembly quick and easy. 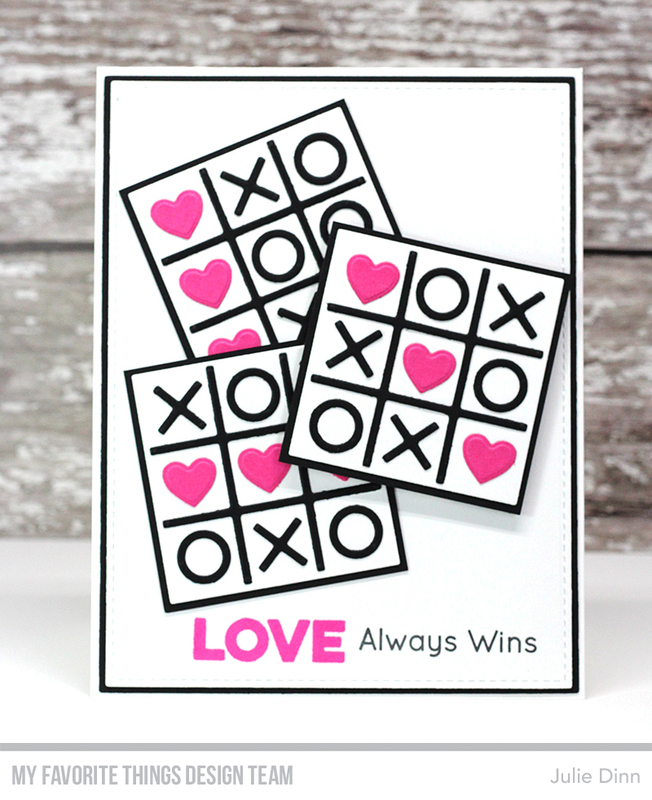 The die cut inlay tic tac toe boards look so dimensional when layered! Pretty cool. Great colors and love the strips!